A Pliosaur is marine reptile that lived in paleo seas much like a giant crocodile with flippers. They are not classified as dinosaurs because they do not meet all the requirements. I'm sure these beasts ate dinosaurs tho. The largest of these species is called a Lioplerodon. The Lioplerodon could reach lengths in excess of 60 feet and might have been the largest predator the planet has ever seen. 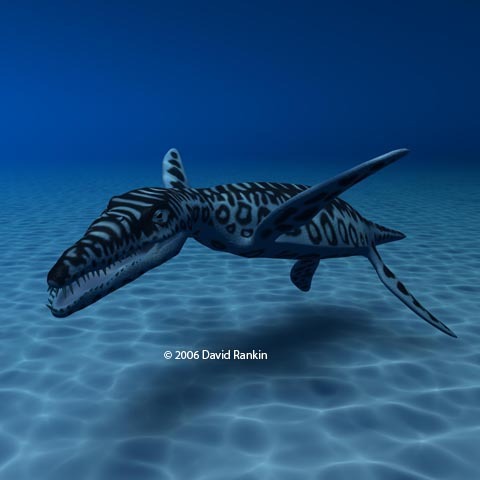 The Pliosaur is a relative of the Plesiosaur which had a much longer neck and a smaller head.